Happy New Year 2014! 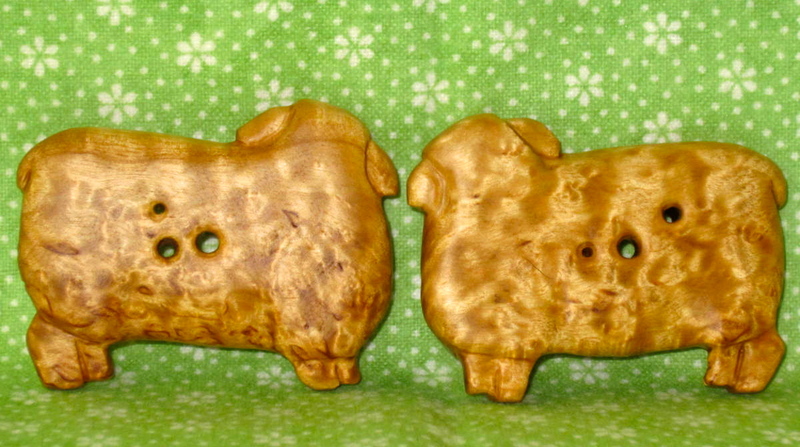 ~ to all our friends, vendor buddies, and customers! Here’s are some new items we’ll have in our booth this Saturday, Jan. 4 at St. Distaff’s Day Spin In (Photos of previous shows can be seen in the Ravelry group by same name). Here Kitty, kitty, kitty…. 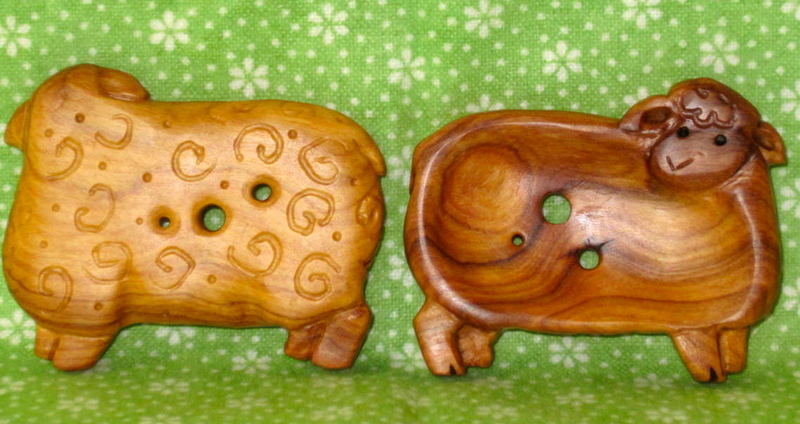 Hand-carved SPINNING WHEEL HOOKS left to right are made of Camphor burl, Yew, Walnut, + 2 cats in Curly Maple. 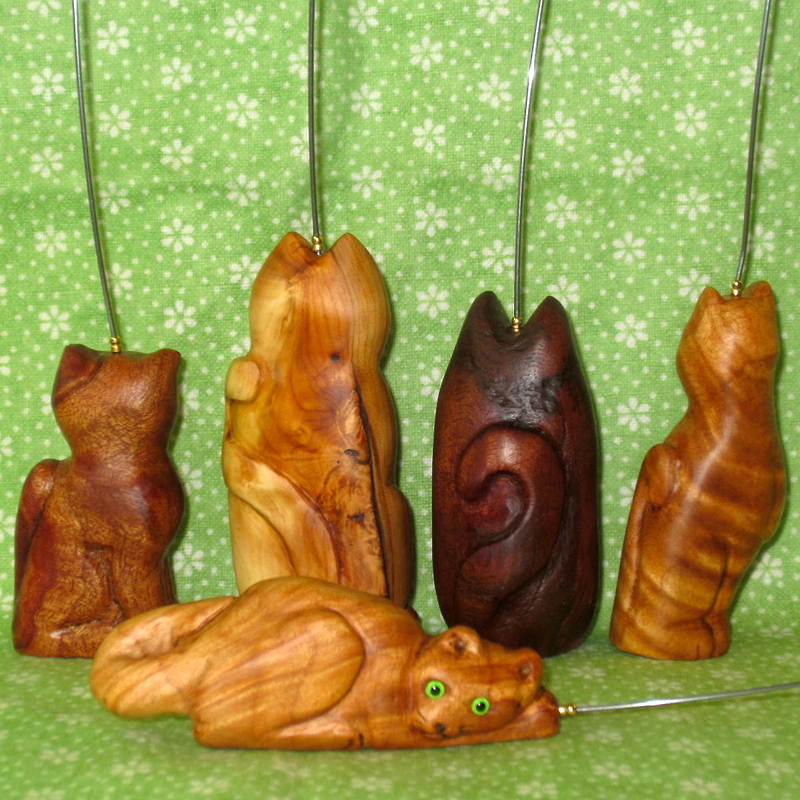 The tallest cat made of Yew has especially nice wood grain on the back. 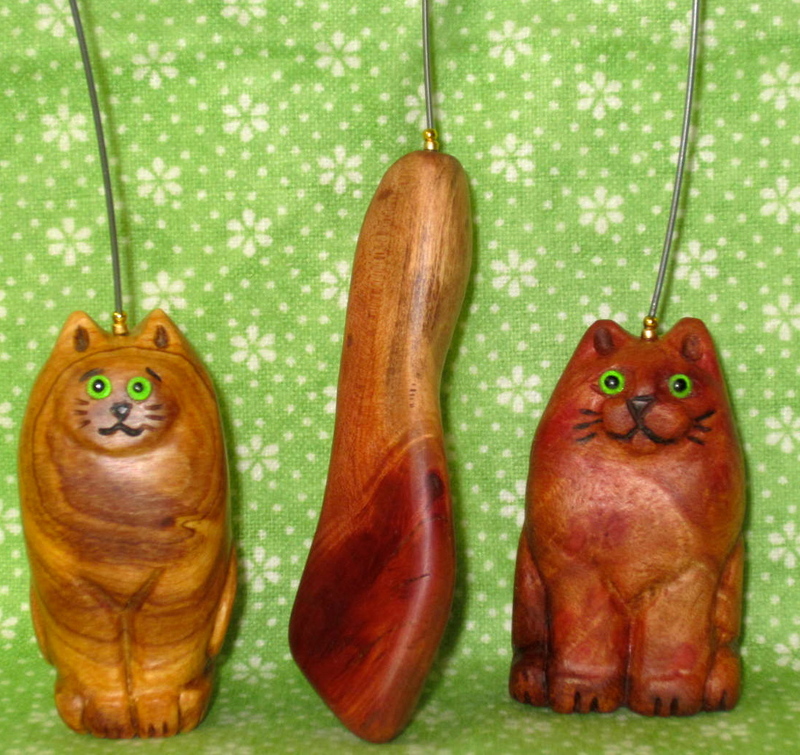 The cat duo are made of Wild Olive & Camphor burl, with a wedge of Manzanita between them. 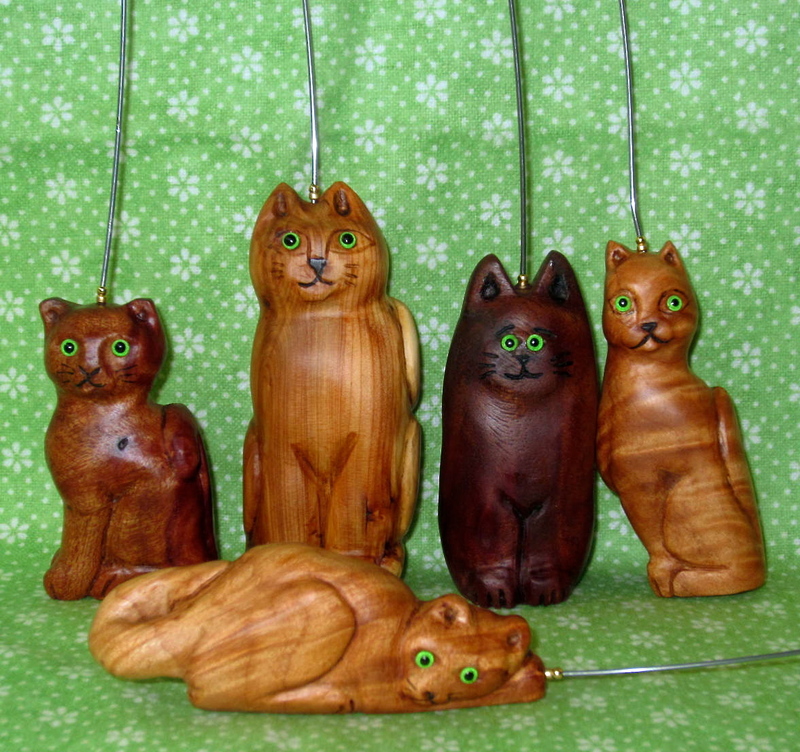 All the cats have German glass eyes (on a wire) securely imbedded, giving them each a mischievous expression. 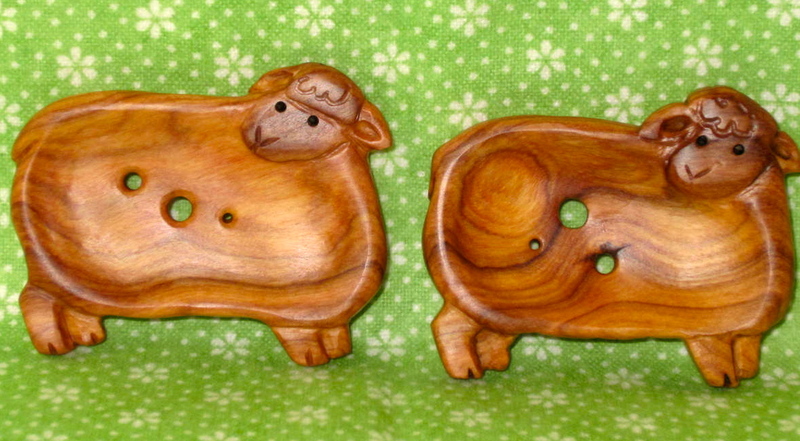 New SHEEP designs for a Diz (what is a Diz tool?) . 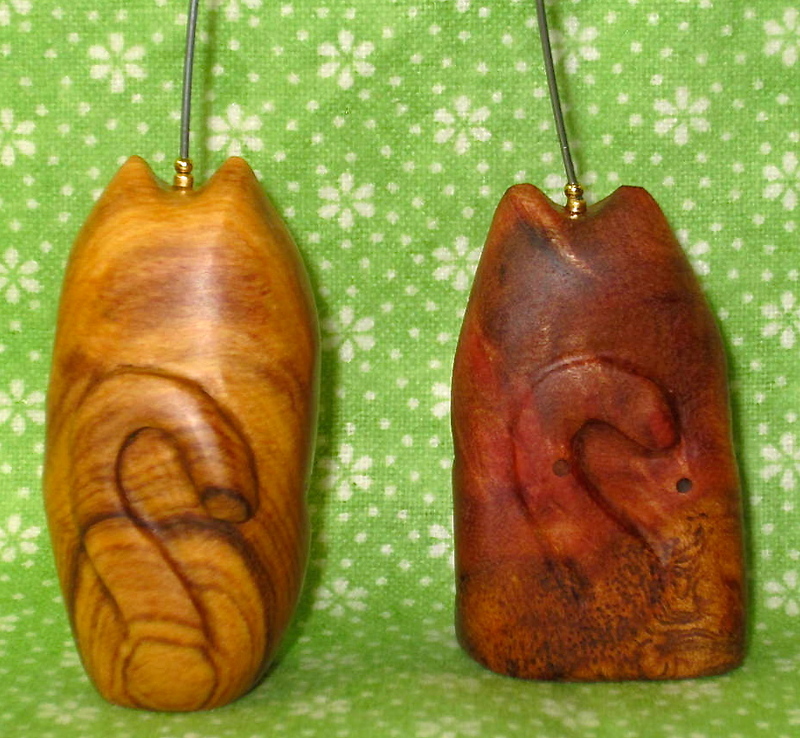 The gorgeous blond wood is curly Masur Birch. 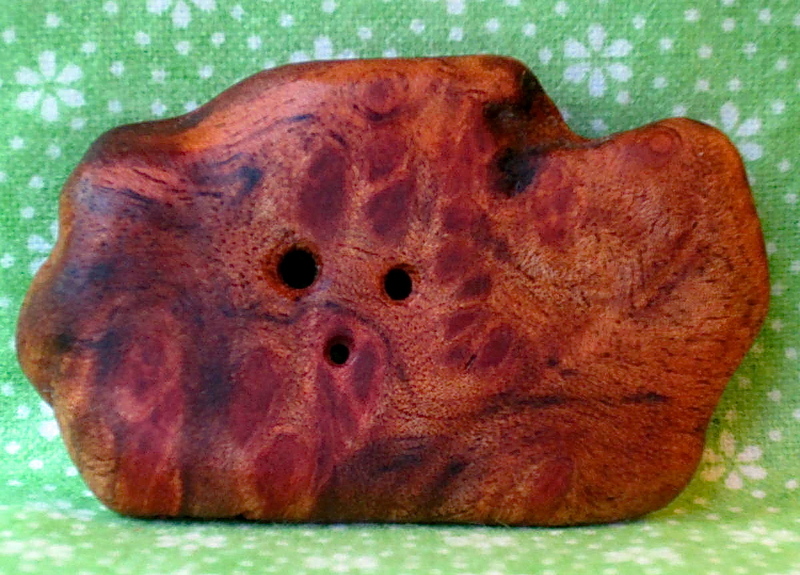 The characteristic flecks & the wavy grain makes the wood shimmer like rumpled satin as it reflects light. 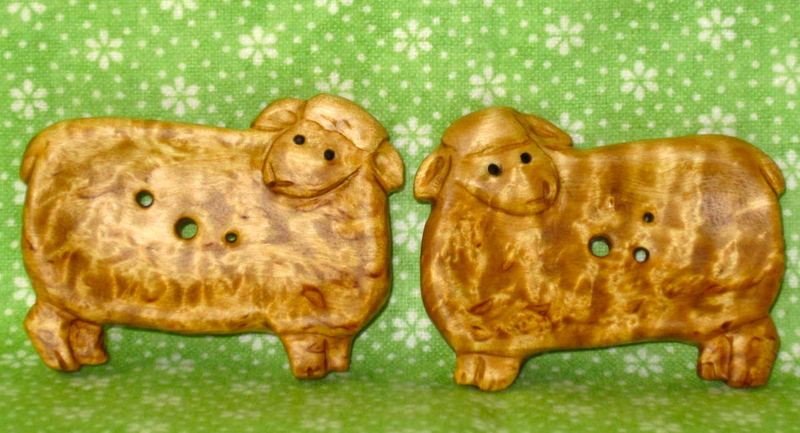 Next up: the Sheep DIZ in the lovely Wild Olive, and a freeform Diz in colorful Camphor burl. 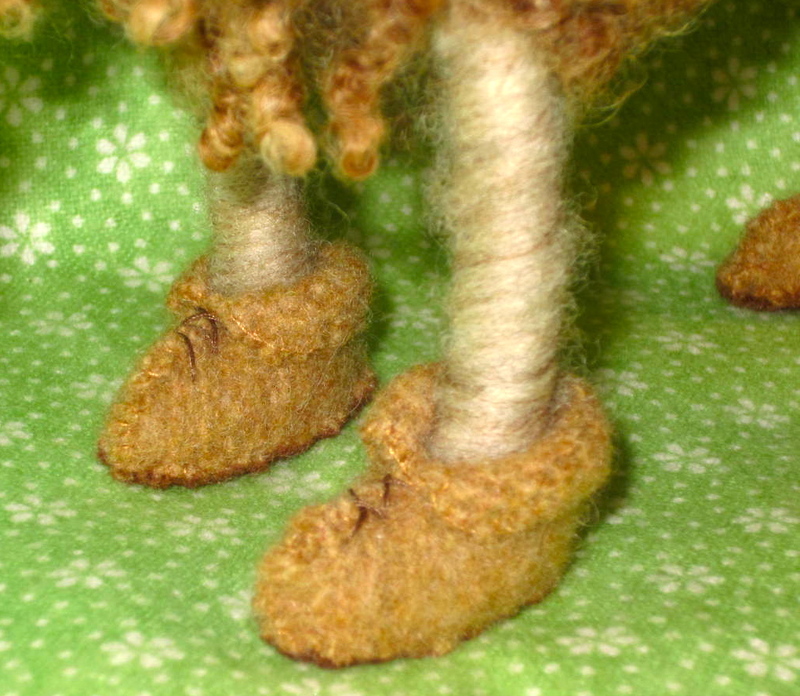 Needle felted SHEEP-in-Boots! 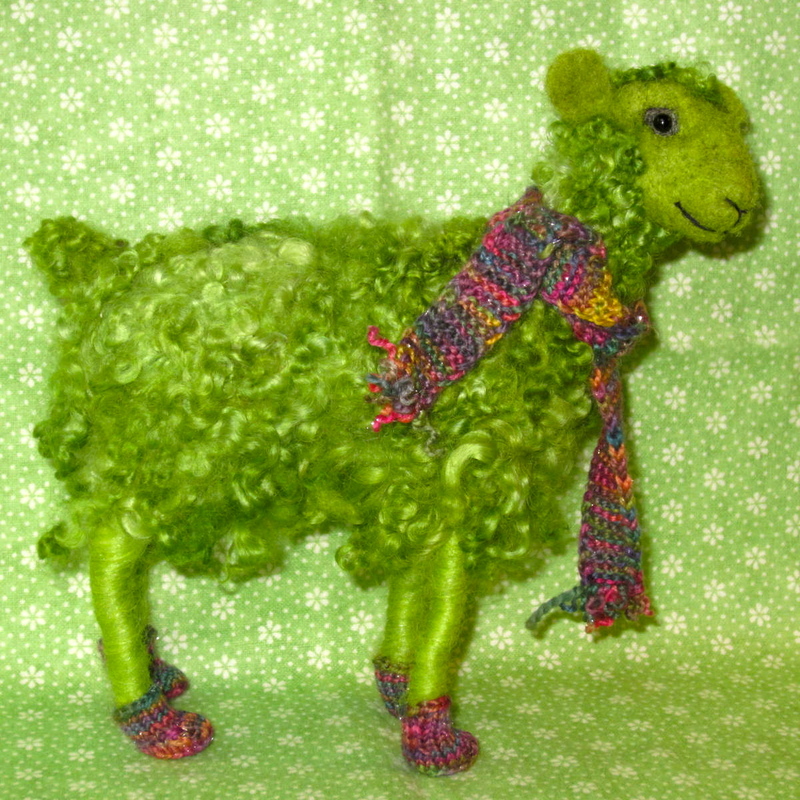 And….Sheep-in-Socks too (she’ll soon have her hat). 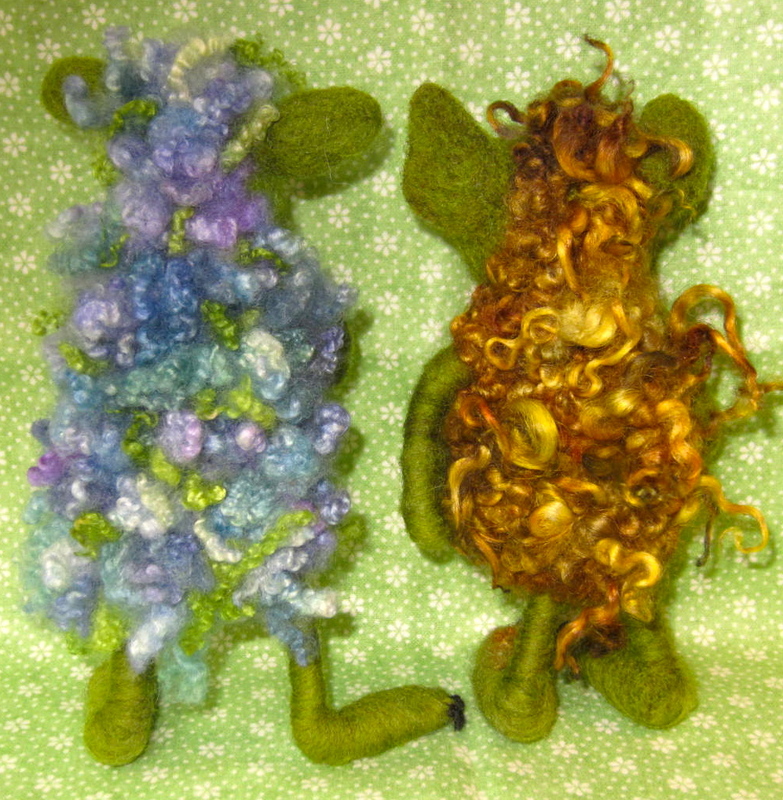 Wild Woolies “Grumbler” & Tumtum. 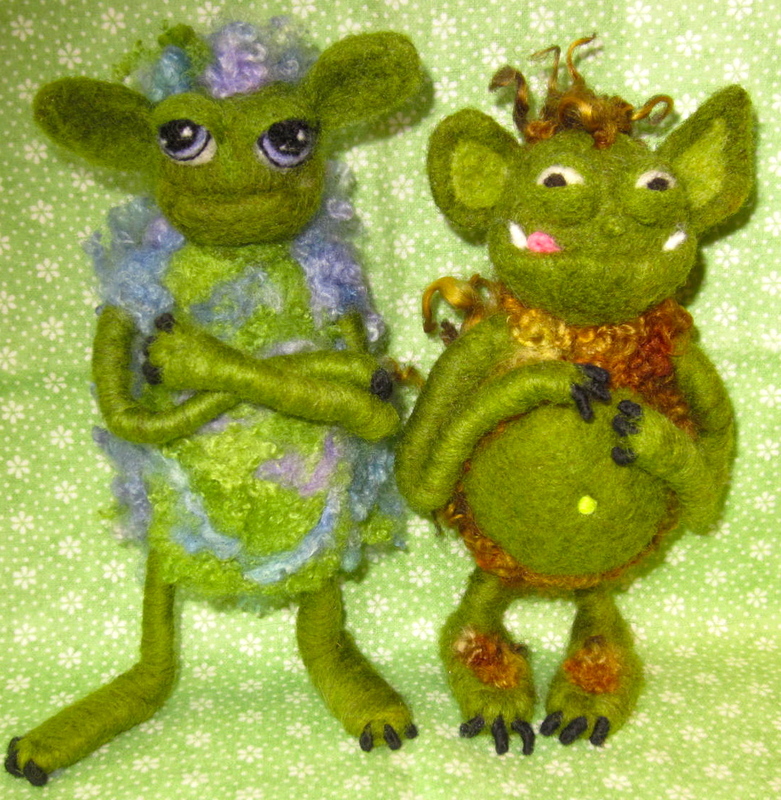 Poor Grumbler doesn’t have it’s fangs yet, but it will by show time! Tumtum needs nothing more; he’s quite full already. I wonder what Wild Woolies feast upon? Whatever it be, it sure contributes to luxurious curls! 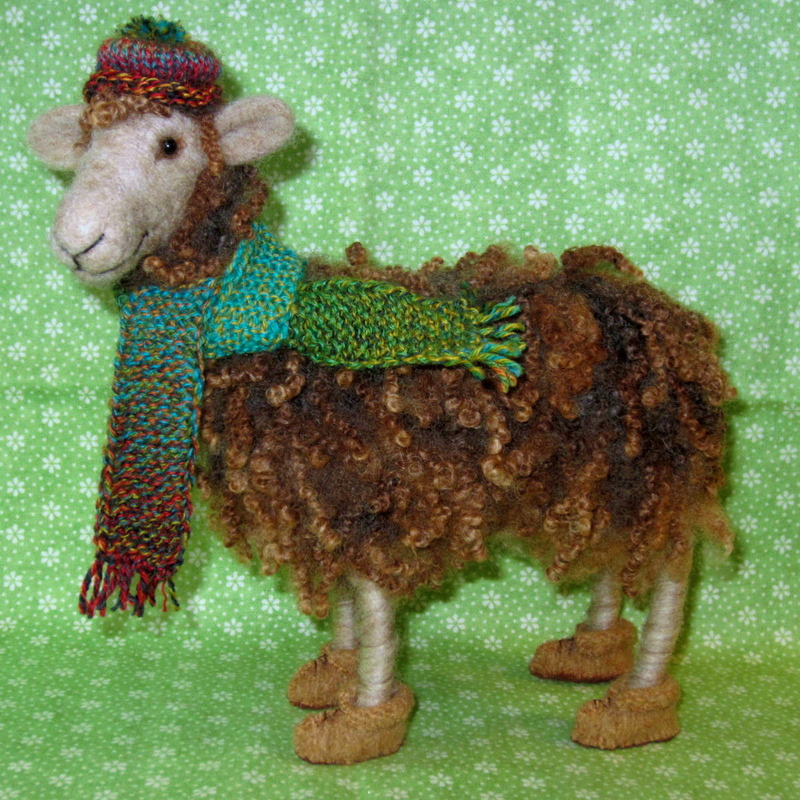 Wired legs & arm allow for gentle posing so the can stand, sit or tap impatient toes!